This Friday at Luzhniki Stadium in Moscow, Russia, former WBO light welterweight champion Ruslan Provodnikov (23-3, 16 KO’s) returns to the ring to face Mexican great Jose Luis Castillo (66-12-1, 57 KO’s) in a scheduled 12 round bout. 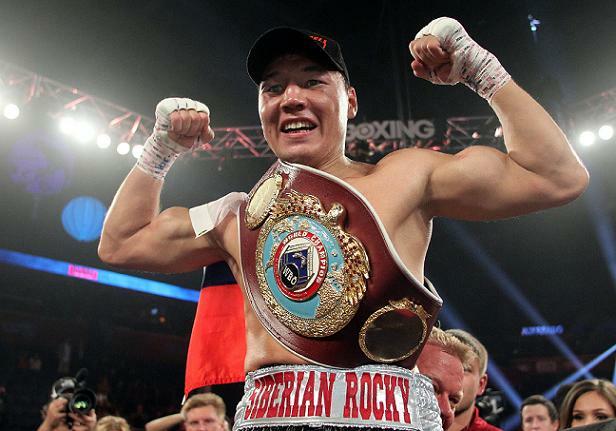 In his first post-Top Rank contest, the “Siberian Rocky” comes in on the comeback trail, but he really shouldn’t be. This past June, he suffered a close split decision loss to New York’s Chris Algieri at the Barclay’s Center in Brooklyn. The end result was highly controversial, and said by some to be a “parting gift”, courtesy of Bob Arum, as that fight was Provodnikov’s last under the Top Rank banner. Algieri went on to headline a pay-per-view event against Manny Pacquiao this past Saturday (losing in lopsided fashion) while Provodnikov was sent packing. That packing took him home to Russia. It will be his first time fighting in his homeland in nearly three years since defeating DeMarcus Corley in 2011. 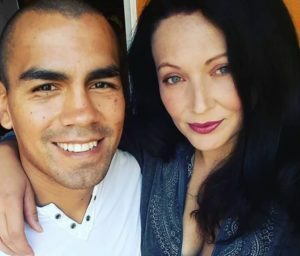 Facing the former WBO champ will be a former world champion as well, Jose Luis Castillo, who will be making the trip from Baja California, Mexico for his first bout outside North America. The 40-year-old Castillo is best known for his two brutal contests against Diego Corrales in 2005 where the two each earned a stoppage win. The former WBC lightweight champ also gave Floyd Mayweather Jr. what many consider his toughest test when the two met for the first time in 2002 with many feeling Castillo should have been awarded the decision. 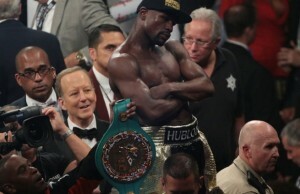 Mayweather earned another close decision later that year in the rematch. Castillo was at his best as a lightweight, where he hasn’t fought in nine years. It was in that class where he had his most memorable performances, but since heading north he hasn’t had a meaningful victory since his NABF light welterweight title win over Herman Ngoudjo in 2007. That bout led to a WBC light welterweight title challenge against Ricky Hatton, where he was knocked out in four rounds. 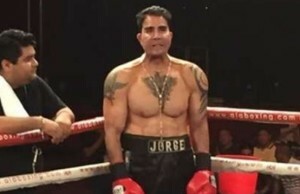 Since that night he’s managed 11 wins over nondescript opposition, while being beaten convincingly by Sebastien Lujan, Alfonso Gomez, Jorge Paez Jr., and Antwone Smith. At 30 years old, Provodnikov is as tough as they come. As the saying goes, he’ll take two shots to land one and keep coming forward. Even the faster, more athletic Timothy Bradley went to hell and back with him in the Boxing Tribune’s 2013 fight of the year before escaping with a razor close decision after getting stunned numerous times throughout the contest and dropped in the final frame. Bradley retained his WBO welterweight title, but suffered a concussion along the way and took months to recover. Style-wise, these two match up nicely, and six or seven years ago this would have been a real barn-burner that could have went either way, but now it’s little more than a showcase for Provodnikov on his home turf. The Russian’s natural size advantage coupled with Castillo’s age and wear and tear should make this a relatively easy fight for him. Castillo no longer has the skill or reflexes to keep the fight at a safe distance to avoid the big shots for extended period of time. The early rounds may provide some back and forth action, but Provodnikov should have the fight wrapped by the fight’s mid-point.